Norman Green has won the Horace Crow Junior Award in 2005, the President Award in 2003, and the Otto T. Essig Award in 1990 and 2011. MEDIA, PA, September 24, 2018 — Marquis Who's Who, the world's premier publisher of biographical profiles, is proud to present Norman Green, DMin, with the Albert Nelson Marquis Lifetime Achievement Award. An accomplished listee, Dr. Green celebrates many years' experience in his professional network, and has been noted for achievements, leadership qualities, and the credentials and successes he has accrued in his field. As in all Marquis Who's Who biographical volumes, individuals profiled are selected on the basis of current reference value. Factors such as position, noteworthy accomplishments, visibility, and prominence in a field are all taken into account during the selection process. Before retiring in 1995, Dr. Green had been the director of the office for planning resources at the American Baptist National Ministries in Valley Forge, PA, since 1977. Prior to this position, he was employed by the American Baptist Home Mission Society in Valley Forge, including as a field representative from 1962 until 1966, at which time he became a field director for ten years. After serving as a pastor for a short time, he felt his calling was toward denominational service and this led to his position at National Ministries. Dr. Green began his academic pursuits at the University of California, Berkeley, where he earned a Bachelor of Arts in 1954. He went on to obtain a Bachelor of Divinity from the American Baptist Seminary of the West, formerly known as the Berkeley Baptist Divinity School, in 1957, and completed postgraduate work at the University of Chicago from 1957 to 1959. He ultimately received a Doctor of Ministry from the Palmer Theological Seminary in Philadelphia, PA, in 1982. Beyond all of these degrees, he also was ordained to ministry by the American Baptist Churches in 1957. Throughout the years, Dr. Green has co-authored multiple works in his field including “Key Steps in Local Church Planning” in 1980, “Churches and Church Membership in the United States 1990” in 1992 and “Local Church Planning Manual” in 1977. During his time at the Central Baptist Church in Wayne, PA, from 1990 to 2013, he was bookkeeper, treasurer and recording clerk. Dr. Green's civic involvement is extensive. In addition to his membership with the American Baptist Ministers Council, he was on the board of directors and acted as secretary for the Springdell Village Homeowners Association from 1994 to 1998. Furthermore, he was an inspector of elections for the Tredyffrin Township in Berwyn, PA, from 1976 to 1981 and was a U.S. delegate for the World Association of Veteran Athletes from 1988 to 2001. Alongside his roles in the ministry, Dr. Green is also an accomplished runner and athlete. He has been on the U.S.A. Track and Field board of directors, and as chair, secretary and championship statistician for the masters long distance running committee. He managed the U.S.A. Track and Field Masters Hall of Fame from 1997 to 2013. He was also the American Running and Fitness Association president from 1991 to 1994, was named to the Road Runners Club of America Hall of Fame in 1992, and is a lifetime member of the Philadelphia Masters Track and Field Association. Dr. Green has also been involved with the Mid-Atlantic Association of USA Track and Field as vice president from 1988 to 1996, coordinator grand prix from 1991 to 2013, treasurer and member chair from 1997 to 1998, secretary from 1999 to 2006, and member processor from 2000 to 2009. Moreover, he was the sanctions administrator from 2005 to 2013 and financial secretary from 2007 to 2011, and he was named Long Distance Masters Runner of the Year from the organization from 1982 to 1990, 1994 to 1995, and in 1998. In addition, he won the President's Award from the association in 1986-89, 2002, 2006, 2009-10. 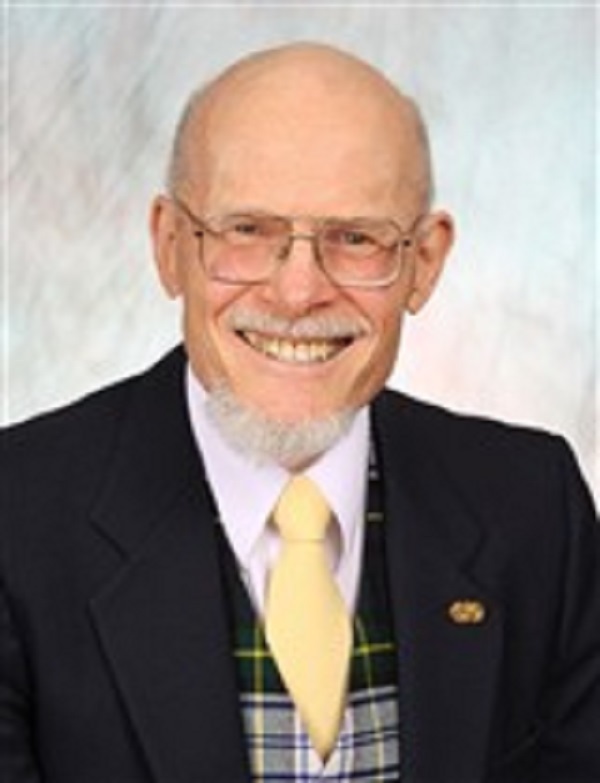 Other awards Dr. Green has won include the Horace Crow Junior Award in 2005, the President Award in 2003, and the Otto T. Essig Award in 1990 and 2011. He was also named to the Masters Hall of Fame in 1996 and has been named Male Athlete of the Year four times in each of four different age groups. However, the highlight of his career was when he ran the Twin Cities Marathon. One of 26 marathons he has run over the age of 50, he was the oldest to run this race in less than 2:30, completing it in 2 hours and 27 minutes. In recognition of outstanding contributions to his profession and the Marquis Who's Who community, Norman Green, DMin, has been featured on the Albert Nelson Marquis Lifetime Achievement website. Please visit www.ltachievers.com for more information about this honor.